CAMplete TruePath TurnMill – CAMplete Solutions INC.
Multi-tasking/Multi-turrets are powerful and versatile CNC machines. Finally you can get equally powerful CAM software tools to get the maximum return on your investment: CAMplete TruePath TurnMill! By applying CAMplete’s existing expertise in multi-axis machine simulation and post-processing to these types of machines, CAMplete TruePath TurnMill can optimize your programming process! CAMplete TruePath TurnMill is a seamless, integrated environment that allows you to combine output from all of your CAM Systems. The result is a fully optimized set of multi-tasking programs; verified and ready to run on your machine. CAMplete TruePath TurnMill includes a wide selection of tools for simulating and verifying your CAM programs. All important G-Codes and machines cycles are simulated, including part exchanges and wait codes. Simulations can be broken down to the millisecond. You can see the exact behavior of your machine in real time, every time. vendors. It’s all there so you can be up and running quickly. 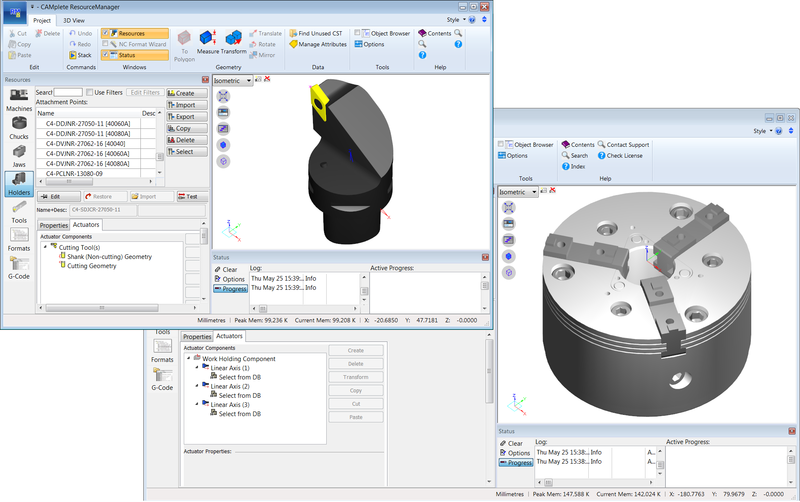 If you don’t find what you need, custom tools can be created easily from any CAD model. If it can happen on your machine you can see it in CAMplete TruePath TurnMill first! Collision detection is performed between the machine components, tooling, parts, fixtures and work holding. An accurate simulation of your work environment ensures safe, ready to run programs, and your peace of mind! CAMplete TruePath TurnMill adapts to your projects and process, whether you start with post processed programs, hand edited programs or both, all simulation and verification is done using the same G-Code that will run on your machine. 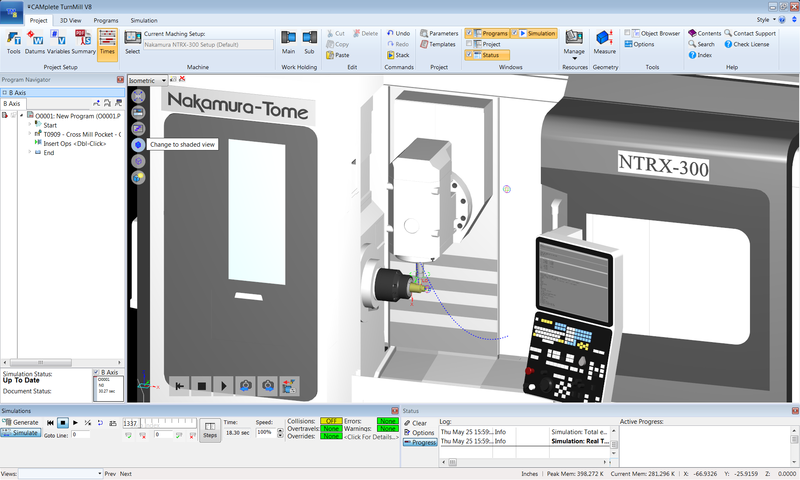 Machine cycles can be easily customized for even more flexibility and accuracy. 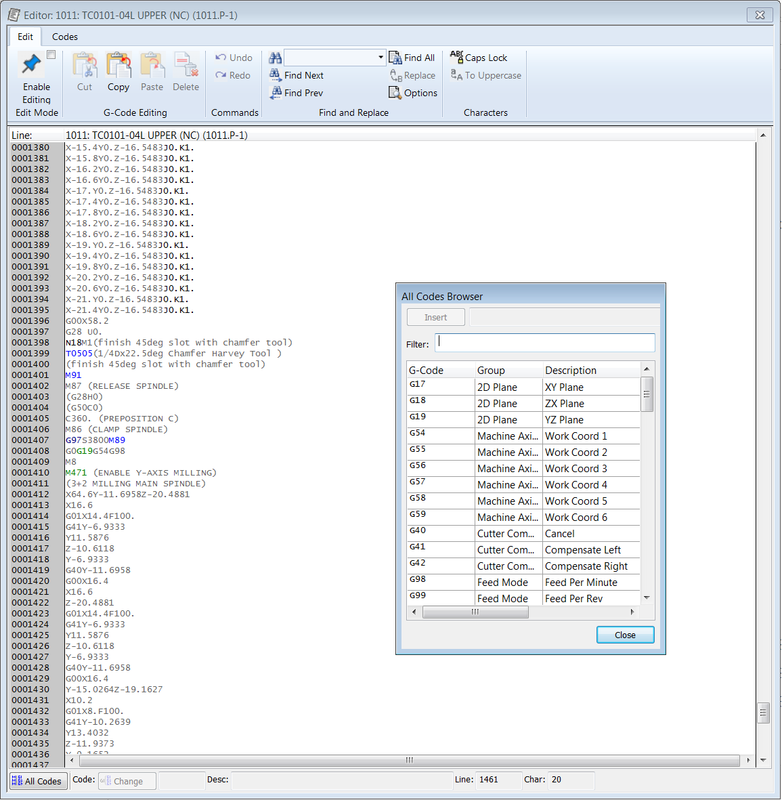 CAMplete TruePath TurnMill not only performs G-Code simulation, it’s integrated environment includes a fully functional, context sensitive G-Code editor so you can quickly manipulate your programs. 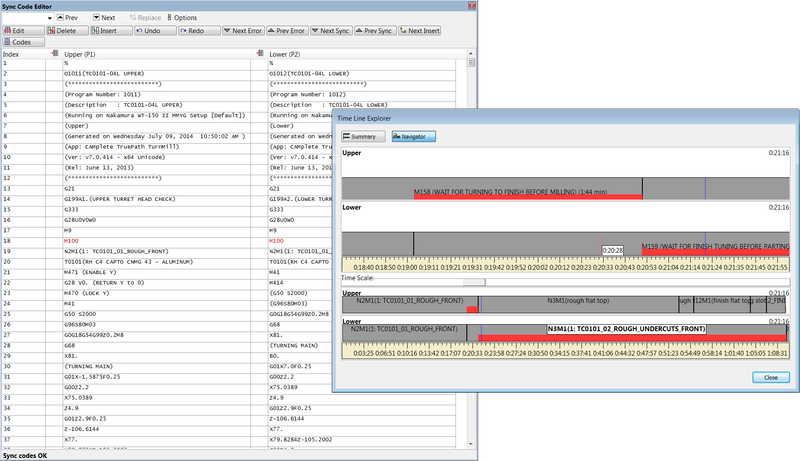 Easily translate or mirror tool paths, remove or add line numbers and check axis ranges. Full cut and paste functionality allows you to optimize your operations and even move them seamlessly from channel to channel. CAMplete TruePath TurnMill will always keep the G-Code and tooling up to date. You need the most efficient programs possible and CAMplete TruePath TurnMill was designed with this in mind. Wait codes can be easily modified and viewed so you always make the best use of the spindles and turrets. The sophisticated time analysis graph makes it easy to see the time break down of your program. Identify unnecessary waits and operations that can be done in parallel and eliminate wasted time. With CAMplete TruePath TurnMill you can save time, save money and do more!